Our guides are official licensed tour guides and have years of experience, we are optimistic offered the below tour guide day price which has been working for our company for many years, we respond to all your request and make you the holiday full of memorable and wonderful. All out tour guides are local people, we selected the best and professional tour guide, best view from our customers and experiencing traveling around Cambodia. 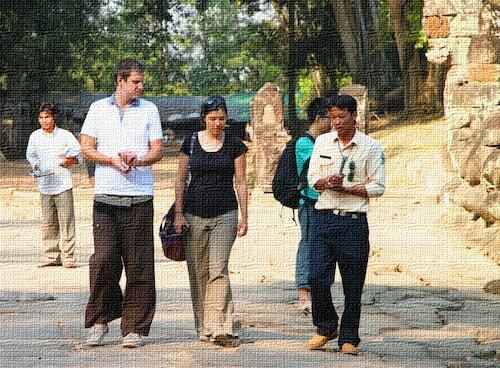 They lead all tourists to visit all attraction sights and places around Cambodia. We use an official tour guide to accompany our customers to the golf courses if they requested. Golf tour guide will help you to register at the clubhouse and settle every payment which included in your tour itinerary. Moreover, he will help you everything upon your requirement during the tour.